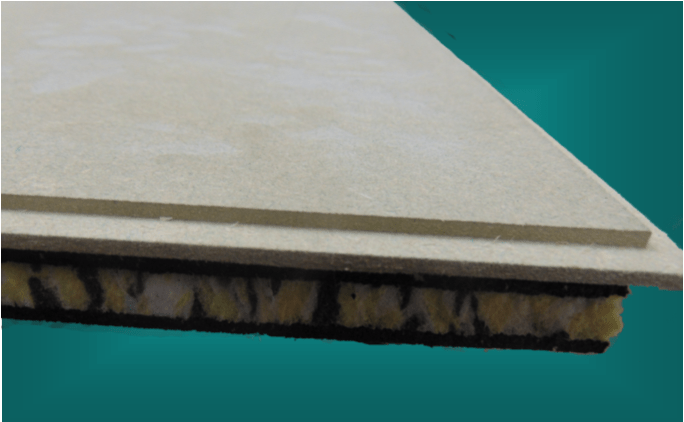 Acoustic soundboard Supreme is an enhanced performance MDF based acoustic overlay board for timber floors. A moisture resistant 9mm tg4 MDF board with a pre-bonded 15mm high performance resilient layer means the acoustic soundboard offers excellent performance with brilliant results in airborne and impact sound reduction. 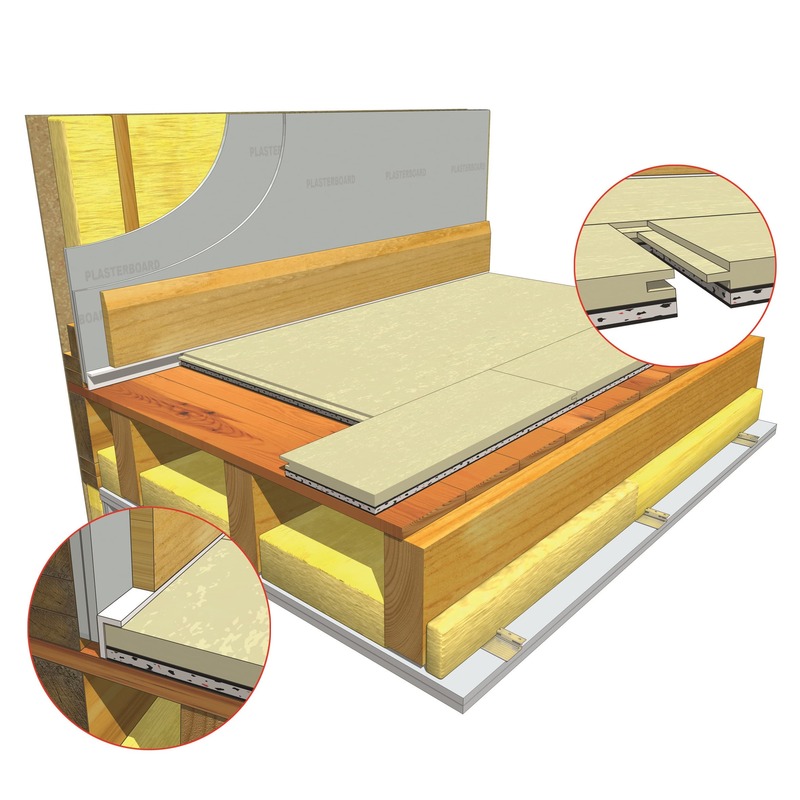 The acoustic shallow overlay board dramatically reduces sound transmission through timber floors. This is one of the quickest and most effective acoustic solutions on the market. Only 24mm thickness this acoustic soundboard minimises construction height whilst still complying with statutory regulations. This acoustic overlay system is known as robust details FFT5 Resilient overlay shallow platform floor system. Overlaying the floor with an isolating layer and a new hard wearing surface is the most convenient way of dramatically improving the airborne and impact sound performance of an existing floor. We have a range of acoustic flooring and acoustic decking systems which range from 19mm to 38mm to suit all budgets and floor soundproofing scenarios. For more information on this acoustic soundboard call JCW on 01204 548400 or for more soundproofing products click here.